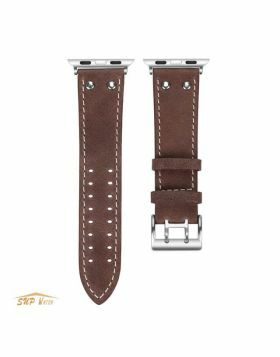 - This black single tour deployment buckle calf leather watch band is a good choice for your apple watch. This black apple watch leather band is durable enough for all daily activities and will keep you looking great. 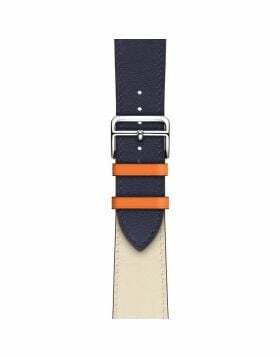 Stylish and attractive color makes this Apple watch band look fantastic with your Apple Watch giving a nice professional look on any occasion. 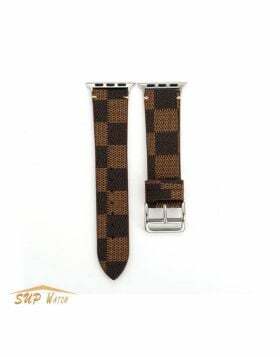 - The Deployment Buckle is made of solid stainless steel, also the clasp pin is enough stable and long, never worry about the middle pin in the buckle disengages easily. Secure your watch with impeccable yet unpretentious style. - Band have Apple Watch Lugs on both ends, which locks onto Apple Watch Band Interface precisely and securely. Easy and direct installation and removal. - Perfect Design: Precise cut enough holes to adjust the length for fitting well for most wrist. - We're redefining a modern classic. 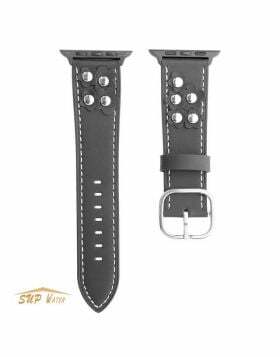 We know things can get scuffed when you're constantly on the move, so we especially designed this classic black single tour Deployment Buckle leather Apple watch band for your active lifestyle. Perfectly fits all new Apple Watch Series 4, Apple Watch Series 3, Apple Watch Series 2 and Apple Watch Series 1. Question:Are the colors like the picture showed ? Answer: Yes! The Balck tone was the exact color shown in the picture! Very classic and stylish! Question: How about the quality ? 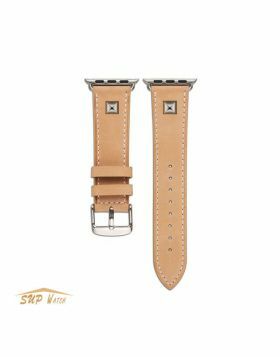 Answer:100% Genuine Leather Band – Premium soft top genuine leather with fashionable craftsmanship, New stylish design!It is perfect for your delicate apple watch. Question: Is it compatible with Samsung smartwatch? Answer:No, it only works for the apple watch series!